Baselworld takes place between 22 and 27 March 2018 in Basel, a city on the Rhine River in northwest Switzerland. 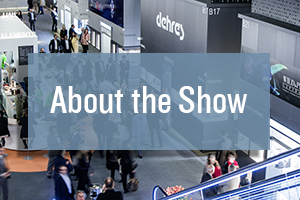 The show will bring together industry key players - from watchmakers to jewellers, from diamonds and gemstones dealers through to machine manufacturers and the supply industry – to unveil their latest collections, talk business and discuss topical industry issues. 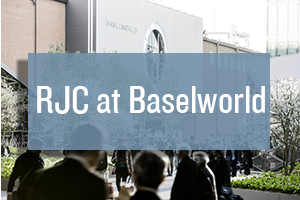 The RJC will be back at Baselworld this year to meet with members and prospective members as well as host an RJC session on Saturday 24 March 2017 between 14:30 and 16:00 in the Sydney Room in the Congress Centre. Scroll down for more information on the RJC panel session at Baselworld 2018! The show is taking place in Basel, Switzerland. 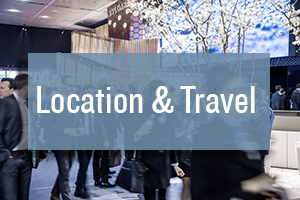 The international "EuroAirport" is only 10 minutes by car from the Baselworld show. Three different train stations in Basel provide direct connections to key European metropolises by high-speed trains. For more information on getting to the show, please click here. The jewellery industry is facing a unique corporate social responsibility challenge. There’s a growing increase in expectation from consumers, NGOs and civil society for the industry to be more transparent about their sustainability practices in relation to people, planet and profits. This expectation is placing a strain on companies up and down the jewellery supply chain. In short, communicating a company’s sense of purpose and social responsibility is now a vital component in any communications function. Join the Responsible Jewellery Council, and industry experts from Cartier, Chopard and trade publication, The Financial Times Watches & Jewellery Report to hear first-hand how they are tackling the challenge of communicating corporate conscience across stakeholder groups and other channels. Moderated by RJC’s Executive Director, Andrew Bone, this session will explore how these leading brands are turning demand for value-driven communications into an opportunity to showcase their corporate personalities and commitment to ethical business practices, and the tools and techniques they find most effective. As the Head of Corporate Social Responsibility at Chopard, Diana Culillas is responsible for leading and implementing Chopard Group CSR strategy in terms of sustainable supply chain, environmental management, work-life balance as well as philanthropic commitments. 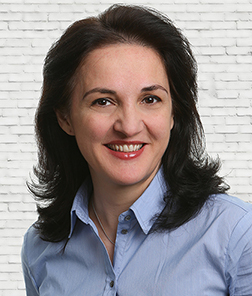 Her work is based on the triple bottom line principle where she identifies social and environmental impacts of production, supply chain, commercial and logistic activities of the Maison, in order to implement sound improvements to company philosophy and operations. Prior to the watch and jewellery sector Diana has been working as a Communications Officer with the International Committee of the Red Cross (ICRC) in Northern Caucasus (Russia), were the purpose of her mission was acknowledging the mandate and activities of the ICRC as the guardian of the Geneva Conventions and their Additional Protocols, as well as educating and monitoring respect of the International Humanitarian Law. She holds a Master of Arts in Marketing with a specialisation in development and promotion of sustainable supply chains. 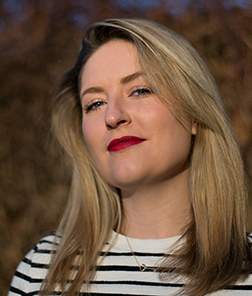 Rachael Taylor is a freelance jewellery journalist and regular contributor to a wealth of titles across the globe, including The Financial Times, Retail Jeweller, Rapaport and Luxury London. She is also IJL’s Trend Editor, curating the jewellery trends seen on the exhibition’s catwalk, and is a founding ambassador of the Women’s Jewellery Network. This year, Rachael will be launching a new project, The Jewellery Cut, which is a digital platform dedicated to the most sparkling people, innovative creations and secret success stories in the jewellery business. Have a question? Please click below to get in touch with the RJC! We look forward to seeing you at Baselworld 2018!